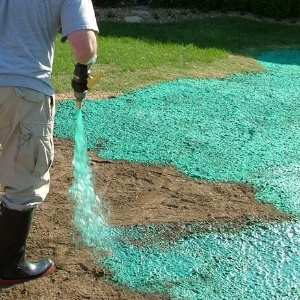 Hydroseeding is by far the most efficient and effective lawn seeding method. It’s a planting process that utilizes a slurry of seed, fertilizer, water and mulch which get blended together and sprayed over a prepared area. Call us now at (716) 823-6114 for a quick, cost effective way to get a new lawn that will turn your neighbors green with envy! Site by: New York Marketing.